Kensington Real Estate & Property Management WordPress Theme is an innovative real estate theme that has two main Kensington Features for Property Agent and Rental Properties. Kensington Real Estate Theme has modern, clean, intuitive and fully responsive real estate WordPress theme design on each page. It looks gorgeous on any tablet or mobile phone size. Kensington Property Management Theme are equipped with multipurpose features like real-time availability search, custom price per day, paypal integration, customizable property search, Google Maps integration, Ready to use page builder, compare properties, customizable widget, and a lot more. After a long hard work of development, Kensington WP Theme is already to use for you. Please check the beautiful design and awesome features. Kensington Real Estate Theme is easy to get started. Simple, fast & easy to set up with many various features. Kensington Property Management WordPress Theme is the best responsive real estate wordpress theme ever. It will look awesome on desktop, mobile & phone. Kensington Property Management WordPress Theme has many various colour that can set up your professionally design website for your property management theme for wordpress. You can change the colors without any extra effort. Kensington Real Estate Theme is an online sales property website that can make easier to promote, to sell and to share your property information. This theme can grow up your property selling fast. 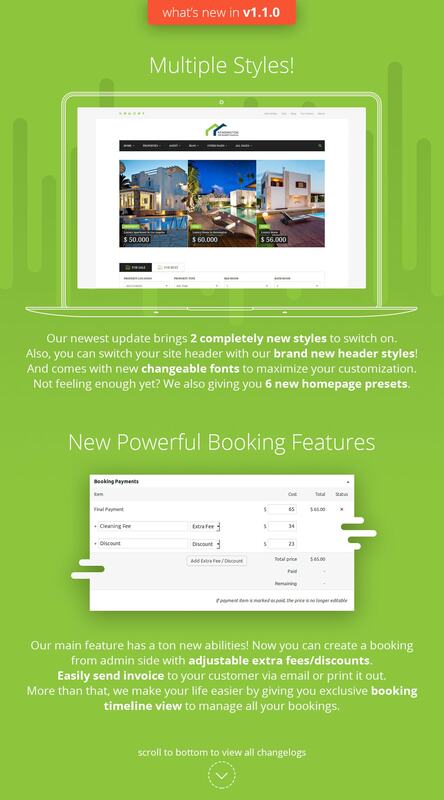 Kensington WordPress Theme is a great real estate wordpress theme and this theme also has online booking system for house rental, apartment rental, homestay rental, guest house rental or wordpress theme for hotel. Kensington Property Management WordPress Theme has feature that you can use for reservation management. 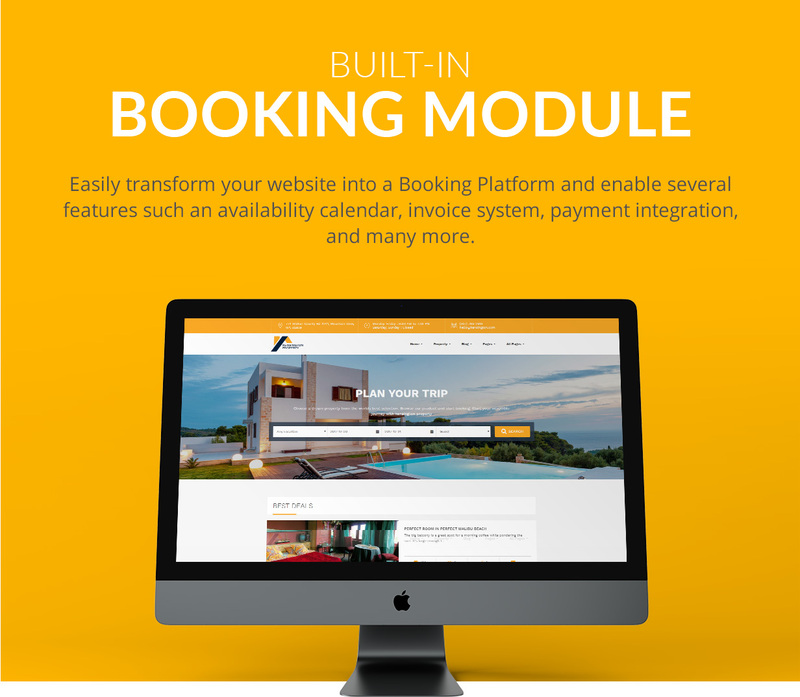 They allow tour and activity operators to accept bookings online and really suitable for property rental wordpress theme. Kensington Real Estate Theme has two various check in time those are mid day and mid night. Mid day check-in will start at 12PM and mid night check in will start at 12AM. This feature is really flexible and suitable for house rental or hotelier. Kensington Property Management WordPress Theme feature currency formatting. You can choose the currency, currency position (before or after the price), enable space between currency and price, number of decimal points, decimal point separator, and thousands point separator. Kensington Real Estate Theme has feature measurement settings. If you enabled the measurement unit globally, it will be used in all property prices. Kensington Property Management WordPress Theme has feature a page that contain property listings to display in single page. Kensington Real Estate Theme has feature to search property listing and display from what you type. Kensington Property Management WordPress Theme has feature drag & drop search field that can make easy to set up with page builder system. Kensington Real Estate Theme has feature drag & drop property sections that can make easy to set up with page builder system. Kensington Property Management WordPress Theme has feature compare properties. If enabled, each property in homepage will have a compare button and when you click the button, the property will be added to a compare list in the sidebar. Kensington Real Estate Theme has feature customizable marker icon map. You can select beautiful design by putting marker design icon map code on on it. Kensington Property Management WordPress Theme has feature custom price that the booking price in the specified dates will use this custom price instead of the normal book price. 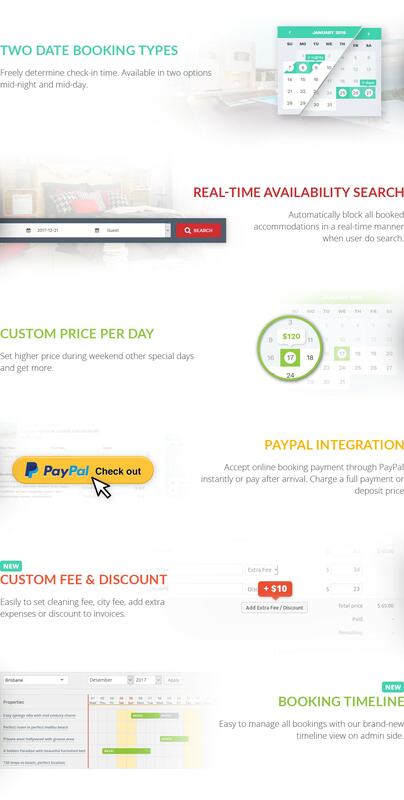 Kensington Real Estate Theme has feature that can accept online booking payment through PayPal instantly or pay after arrival. Charging a full payment or deposit price. Kensington Real Estate Theme has theme options with powerful feature for real estate and property management wordpress theme. You can build a site with powerful theme option from Kensington. Kensington Property Management WordPress Theme easily import any of our best real estate wordpress theme demo with one click data import. Kensington Real Estate Theme has easy export/import settings that can make easy import from demo or backup your file with export setting. Kensington Property Management WordPress Theme has SEO Friendly site care allowing search engines to index the content of your site to achieve higher rankings. Kensington Theme is strong search engine optimization enhancements have been implemented from the codebase up within.